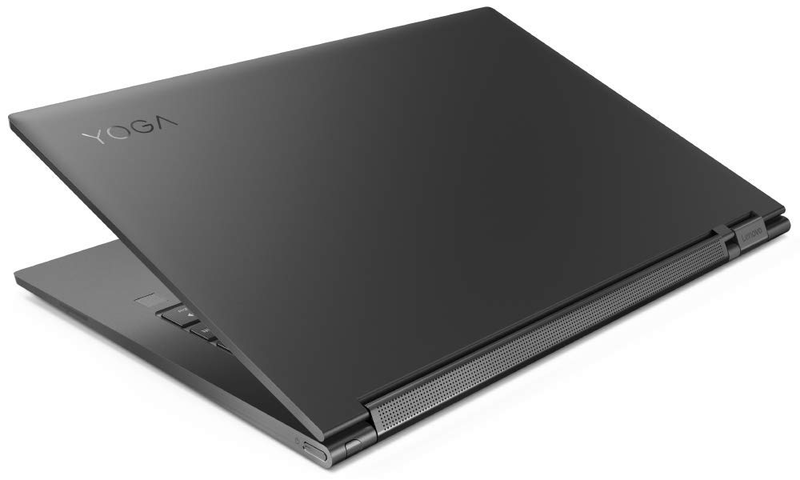 There's more to Lenovo than just ThinkPads. Since 2012, the firm's refreshing line-up of Yoga products has offered something a little different to the business-like appeal of a ThinkPad, making them a useful destination for a new generation of customer. 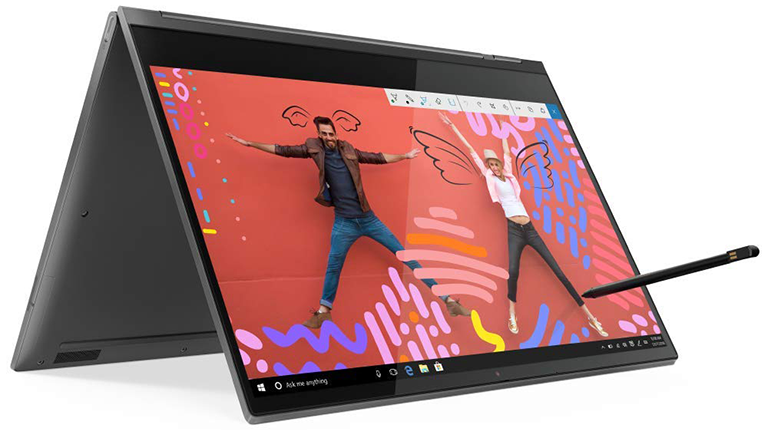 Yoga has become a place for Lenovo to experiment and innovate - the dual-screen Yoga Book C930 comes to mind - and after plenty of trial and error, it is now home to some of the best convertibles on the market. One such example is the Yoga C930 (not to be confused with the aforementioned Book), a premium, 13.9in Ultrabook that excels in almost every area. First off the checklist is build quality. Lenovo's aluminium chassis is really well-knitted together, providing a rigid frame that's thin, gorgeous to handle, and reasonably lightweight at 1.4kg. It's about as sleek as they come, and there's a choice of light or dark grey finishes going by the names of Mica or Iron Grey (pictured). 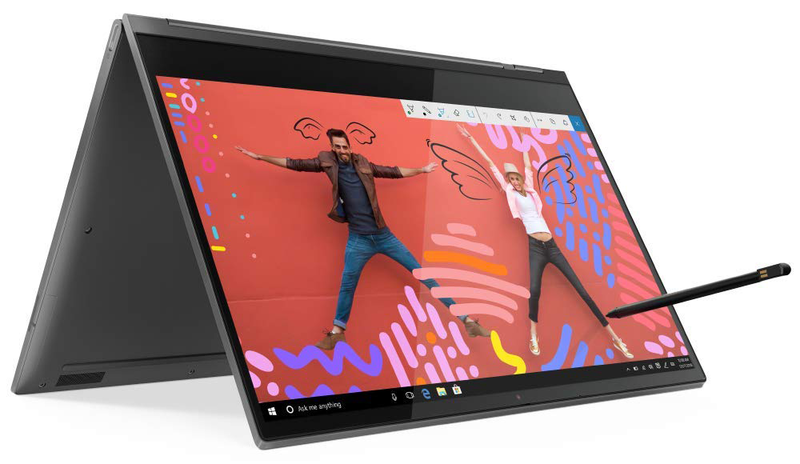 The overall design arguably isn't as eye-catching as an HP Spectre, or as svelte as a Dell XPS 13, but we might actually prefer the Yoga C930's understated aesthetic; there's an elegance to it that's more in keeping with a Microsoft Surface. On the inside, it's a largely formulaic set of components, as is the case with almost every Ultrabook in this class. That means a choice of Intel 8th Gen processor, onboard graphics and solid-state storage. Prices start at £1,200 for a Core i5-8250U model with 8GB of memory, a 256GB SSD and a full-HD touchscreen. At the opposite end of the scale, a Core i7-8550U variant with 16GB of memory, 512GB of solid-state storage and a 4K UHD touchscreen will cost you £1,600. 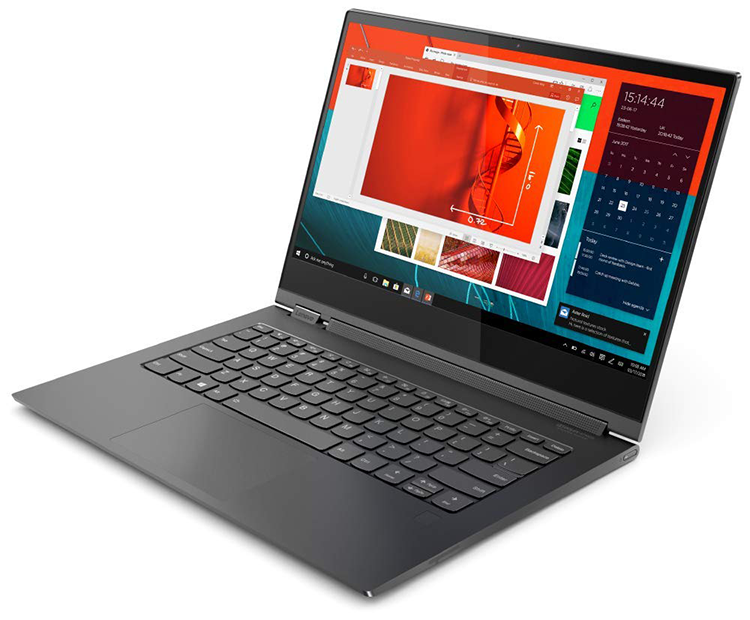 All standard stuff, but what sets the C930 apart from most is Lenovo's implementation. Firstly, the quad-core Intel CPU, be it i5 or i7, is connected via heatpipe to two fans for improved cooling performance. What this means is that our Core i5 review sample is able to stretch its legs and, as the benchmarks will show, overtake certain Core i7 competitors during intensive workloads. Better yet, long-term maintenance is relatively pain-free, as the laptop's bottom panel is easily removed by undoing five screws, providing easy access to the fans, as well as the M.2 slot and WiFi adapter (in this case an Intel 9260). Everything under the hood is well-thought-out - including a large, 60Wh battery, more on that later - and there are plenty of highlights on the surface, too. The most obvious of which is the display hinge, which having foregone the eye-catching watchband design of prior models, has now evolved into a more useful sound bar featuring a Dolby Atmos speaker system. Turns out the hinge is a great place to locate speakers on a convertible as sound output is clear irrespective of usage mode, and the Dolby-tuned audio delivers excellent results. The speaker bar, combined with a pair of downward-firing woofers, creates the best sound we've experienced on a convertible laptop to date. It really is quite impressive, with good definition even at max volume, and Lenovo also includes long-range microphones for communicating with Cortana from across the room; they work just fine, but talking to my PC isn't something I've yet gotten used to. The sound system is a major plus point, but if you're seeking a top-end multimedia experience, you may be disappointed to learn that the standard full-HD panel is good but not great. The 13.9in IPS touchscreen offers wide viewing angles and decent out-the-box colour accuracy, however contrast is disappointing, brightness could be better, and the overly glossy finish makes reflections somewhat bothersome. We assume the optional 4K panel would be a significant upgrade, albeit at the expense of battery life, yet even that won't remedy the huge bezel below the display. That cavernous gap isn't much of a problem when the C930 is used as a regular laptop, but flip over into tablet mode and the lop-sided border becomes hard to ignore. We'd love to see more laptop manufacturers start to look beyond the regular 16:9 ratio, as this chassis is crying out for a taller display. We should reiterate that the default display isn't bad, it just lacks the wow factor we were hoping for. Fortunately, the full-HD panel is one of few areas in which the Yoga C930 disappoints. Given the pedigree of ThinkPad keyboards, it is no surprise to find that the backlit keys on offer here provide good travel and a satisfying action, and the precision trackpad didn't put a foot wrong during use, though the integrated buttons are a tad on the noisy side. There's also a responsive fingerprint reader, but sadly no IR camera for Windows Hello facial recognition. 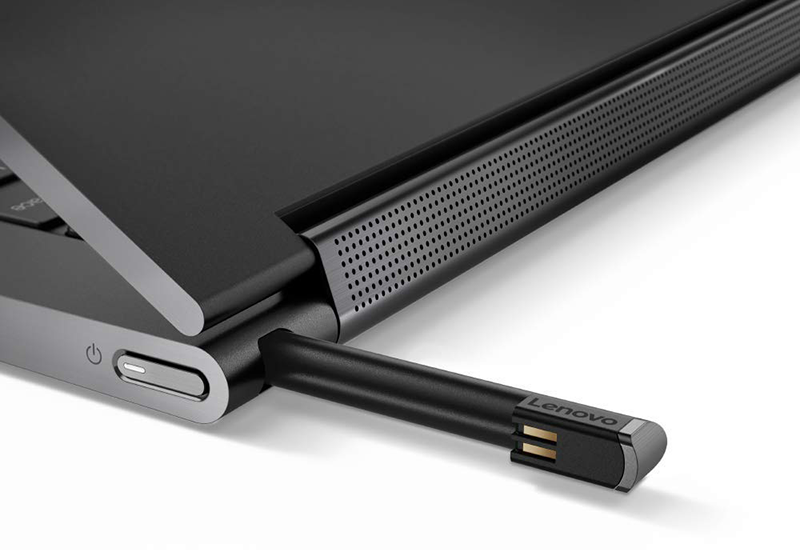 Connectivity can be an issue on laptops as slender as this, yet Lenovo has the essentials covered through USB 3.1 Type-A, a pair of Thunderbolt 3 Type-C and an audio jack. All of these line the laptop's left edge - the right side is home to the power button - and either of the Type-C ports can be used for the bundled 65W power supply. There's no dedicated DisplayPort, HDMI or Ethernet, but the flexibility of the Type-C jacks is such that suitable adapters are easy to find should you need them. Elsewhere, there are a couple of neat surprises worth knowing about. We like that the webcam has a privacy shutter that slides over the camera when not in use - you can never be too careful these days - and we love that the bundled Wacom pen slots into the back of the laptop for storage. We're big fans of digital pens, but keeping track of them isn't always easy, and having one stowed in the laptop itself makes us far more likely to use it. The pen charges while it's docked, the spring-loaded release mechanism works well, and the convenience of having it ready at all times outweighs the fact that the pen itself is a little on the small side.